May. 11, 2017South Korea122 Min. 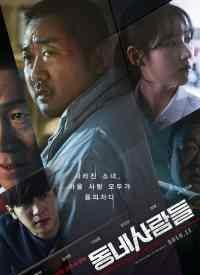 Beom-goo, an honest man in his 40s working as an engineer is fired from his work. His wife, Mi-yeong, a salesperson for a credit card company works even harder to make a living for the entire family. Their daughter, Ha-na, a college entrance exam preparer for the second time feels extremely nervous as she is waiting for the announcement of additionally accepted students.